Welcome to our Thomastik Sales page. On this page we offer Thomastik Spirocore: Mediums, Weich (light) gauge, and solos. We also now offer the Belcanto orchestra, Belcanto solos, Superflexible and now Dominant orchestra gauge and solos. What?! Why not 'free' shipping?? This is true, we have local customers that don't need shipping and we have customers all over the planet that have to pay a little more than people that live here in the USA. Still, when you compare and shop, you will still save about $25-30 per set, or more. So yes, you pay shipping, but still will save considerably. The average cost of shipping bass sets, around $8. TSW-107 Thomastik Spirocores Weich set: (Long EADG) Save money when we add the C extension Long E for you. 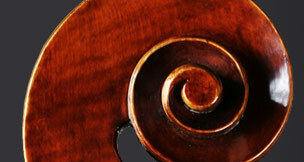 Want to read a little more about the Spirocore Stark E strings?